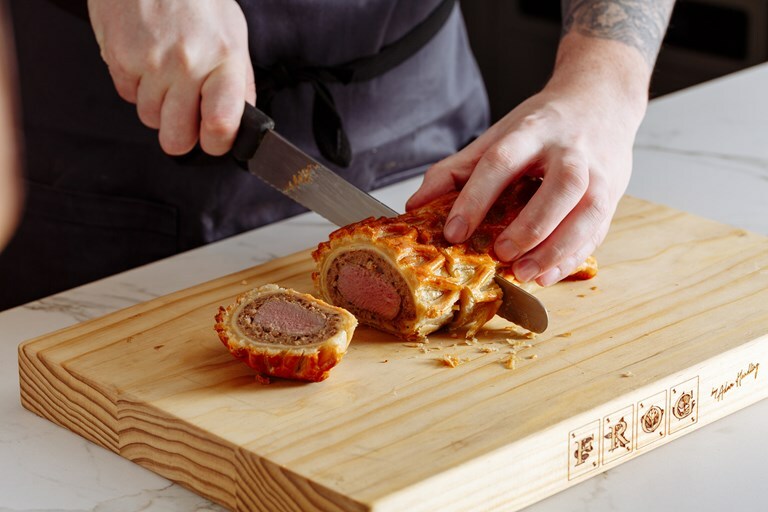 This lamb and haggis Wellington recipe breathes new life into the classic dish. 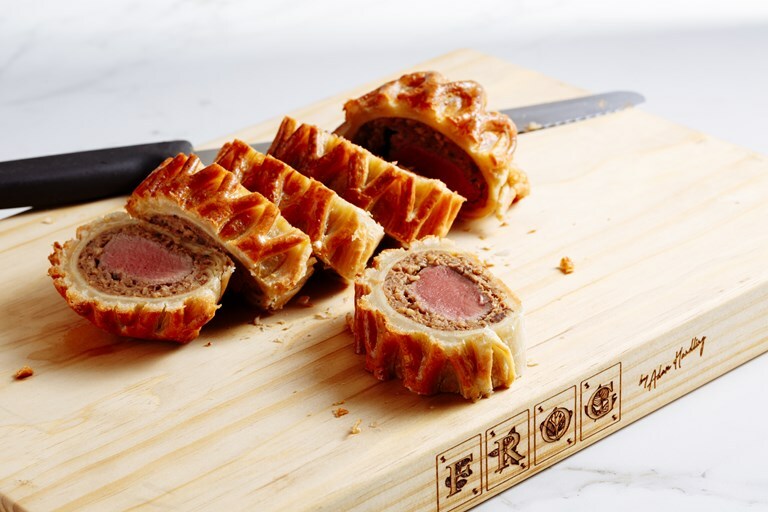 A blushing pink lamb cannon is wrapped in a haggis and chicken mousse, while the simple crepe prevents the pastry from getting soggy. A fantastic main to bring to the table at any dinner party.